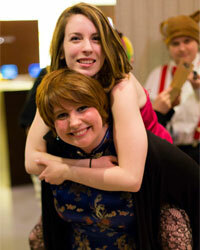 Photos by Octography are free for use by cosplayers and conventions ONLY if credit is applied with the photograph. There are no charges or fees for downloading any full resolution picture. Octography reserves rights to all photos posted and reserves the right to amend or remove any photographs not properly credited. No photos are to be used for profit without permission. All photos hosted here and more are also posted on our arranged galleries on our Facebook Page. 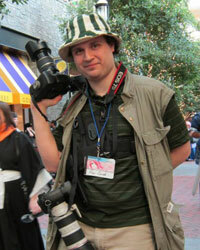 Cosplayers and convention attendees are welcome to tag themselves in our galleries hosted there. Please remember, in order to tag on a page you must first like Octography on Facebook. We do advise, however, that when looking for photographs to either download directly from Octography.org or ask directly via Facebook or e-mail about high-resolution photos. Facebook diminishes the qualities of the photographs to make them more web friendly and only offer low resolution. Octography.org is both hosted, designed, and maintained exclusively by Design. Create. Debut.